CD Digipaks - Coda, Inc.Coda, Inc. Perceived Value is an important fundamental when it comes to the buying process. In other words, before someone buys your products they often wonder what benefits or what is the “perceived value” they will get from buying your products. The bottom line is--if you want to impress your clients and leave them asking for more…packaging matters. The overall appearance of your presentation should act as your personal representative; it needs to speak for itself and summarize everything about your products. Needless to say your cover design is critical to your projects' success. CD Digipaks aim to do just that…provide a robust construction to beautifully display all your graphics and artwork. This hybrid packaging solution offers a variety of customizable options for you to choose from. You can easily customize your CD Digipaks to include pockets, inserts, booklets and additional trays. 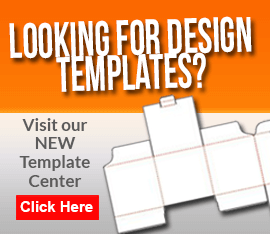 Choose from our standard 4, 6 and 8 panels or configure your own design exactly to what best fits your need. CD Digipaks are made using 16pt C1S recycled paper board and printed with eco based high quality inks. CD Digipaks are designed to hold a standard 12CM (4.75") CD or DVD disc and include a plastic tray that is attached to the inside of the cardboard panels which helps keep your discs safe and secure. Digipak trays are available in 3 standard colors: black, white and clear and you can always add more trays to each panel if you’re offering a multi-disc set. The clear tray however, allows you to showcase even more artwork on the underside of the tray. Choose from 2 different finishes, glossy which adds an extra sheen to the package or the matte coating which is our standard finish. CD Digipaks are a great alternative to the traditional style jewel cases and remain a popular choice amongst musicians and recording artists. However, CD Digipaks can be used for a variety of other applications such as multimedia presentations, training, releases, videos and many more. Coda, Inc. offers store quality, premium packaging solutions ready for commercial sales in retail stores. Retail ready packaging includes 1 to 5 color direct-to-disc printing, full color custom printed CD style Digipaks and shrink-wrap or poly-wrap for added protection. Duplication is available for smaller runs.